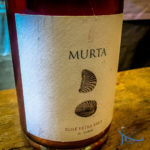 Though the timing hadn’t crossed my mind until after returning home last night, we managed to visit Quinta da Murta at virtually the same point in its season two years in a row—two summers that, so far, could not be more different in central Portugal. 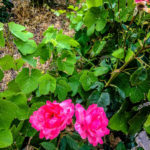 As you look at our pictures from each day (June 29, 2017, and July 12, 2018), the evidence presents itself in the vines. Last year, 2017, the heat and dryness mounted through June, accelerating growth and pulling the harvest forward by about two weeks across the country. 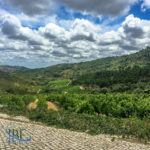 This year, 2018, it feels as though summer has only graced the Algarve—our season of spring rains and cool foggy mornings has extended well into July. Anything could happen in the next few weeks, as vitners around the world know well, but the stage is set for a slow crawl to colheita. 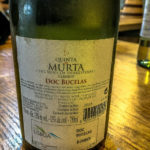 Mario Soares Franco, of Quinta da Murta, in Bucelas, takes it in stride, saying the vines are just fine—and they look healthy. 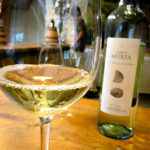 His crew of two or three people has started at one end of the 14 hectares under vine at the quinta training the shoots to the wires, trimming and caring for the bunches maturing along the way. 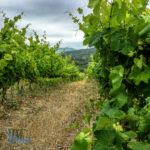 He figures that at about the time they finish all of the vines, they can start again with the process, essentially repeating the motions until harvest time. We took a close look at the Touriga Nacional vines next to the winemaking building. Franco showed us where aggressive pruning over the life cycle of the vines (some planted in 1989), has kept “energy” pulsing through them, not allowing them to plateau. It’s a compelling story—but the proof will be in the results. 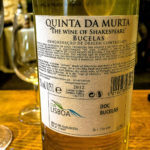 The vines grow within a DOC (Bucelas) that has produced wines for export since the time of Shakespeare—hence the quinta’s marketing line “the wine of Shakespeare.” The soil’s composed of limestone and marl, and laced through with fossils, several of which you can play with in the tasting room. 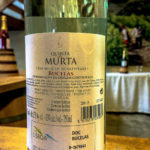 Before the land was planted to vines roughly 25 years ago, myrtle bushes filled the hillsides, granting the quinta its name: murta is “myrtle” in Portuguese. 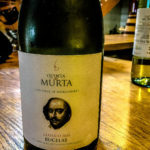 On our first visit in 2017, we met with Hugo Mendes, who joined Quinta da Murta in 2006, taking over winemaking duties from Nuno Cancela de Abreu in 2010. 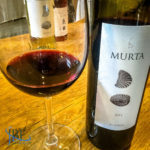 He introduced us to the estate’s three primary wines: a tinto blend of Touriga Nacional and Syrah, the Rosé Espumante (a 100% Touriga Nacional sparkler), and the Quinta da Murta Arinto. 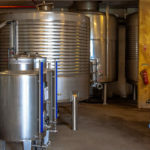 He took us on a detailed tour of the winery, from riddling racks for the espumante, to the small lab where they test roughly 300 grapes per variety just before harvest to determine their readiness. The Arinto, above all, sparked an epiphany for us. 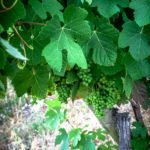 While we had sampled many wines blended with Arinto—a grape native to Portugal—we had not focused at all on the variety. Bucelas DOC considers itself the birthplace of Arinto; you can witness the history in a great local Museu do Vinho e da Vinha in the town of Bucelas (well worth a visit). The Arinto, from 2012, had enough time in the bottle to develop additional notes that we thoroughly enjoyed. 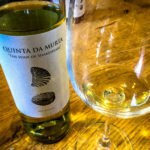 We took a couple of bottles home and polished them off, and spent more time in our consequent wine tastings elsewhere in Portugal noting how Arinto changes with vintage, terroir, and winemaking skill. It’s become one our our favorite grapes. 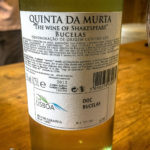 For this reason, upon our return trip to Quinta da Murta in 2018, we focused on Arinto. Franco guided us through a horizontal featuring two expressions of the grape from 2015, the 2014, and a revisit to the 2012, which has hit its peak and is quickly approaching dénouement. The 2015 vintage shows particular promise to achieve length in the bottle. 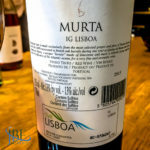 The Quinta da Murta version demonstrated the freshness that comes from its time in stainless steel tanks only, whereas the Classico spends time in used French oak barrels—this truly has the structure to age, in my opinion. Both are primarily Arinto, without any Rabo de Ovelha in the blend—another field grape historically found mixed in with Arinto in the area. 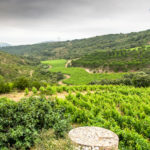 In all, the quinta’s location in a tight valley nestled and sheltered from the worst of the winds and fog lends itself to lovely nuances in its wines. With fermentation by natural yeasts, and a commitment to biodynamic principles, the quinta intends to keep its greatest resource pristine. And what could be more Portuguese than their practice of plowing in Lusitania horse manure to regenerate the soil each season? In addition to wine, there’s a pretty overlook for a wedding, and a cosy place to host other events with a real family feeling. The quinta changed ownership at the close of 2012 into 2013 to Franck Bodin, from France. He’s not only on site but hands on—though clearly he’s kept the continuity of the estate in the hands of Mario and Hugo. 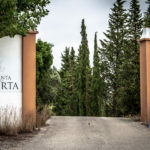 We brought home a great half-case of wine for less than €60—and we look forward to following their Arinto story (as well as that of their reds) well into the future. In the meantime, they provide great value and a taste of history. For more information, visit the web site, or contact Vera Ferreira at the quinta at (+351) 210 155 190 or qmurtageral@hotmail.com. 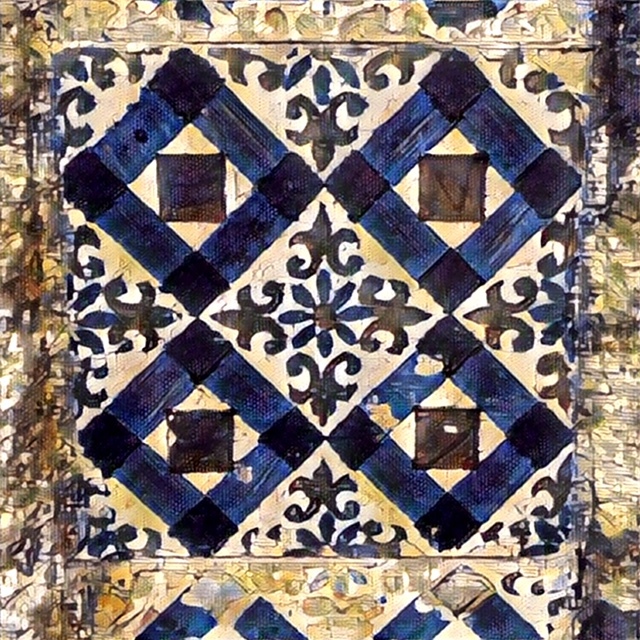 Address: Quinta da Murta, Estrada Velha do Boição nº 300, 2670-632 Bucelas, Portugal. Composed of 100% estate Touriga Nacional grapes, this traditional sparkling wine shows a moderate mousse and lovely salmon color. The taste of modello cherries is balanced with savory notes at the finish. A 100% Arinto from a very balanced year, with a bright straw color, and a nose like pineapple upsidedown cake. 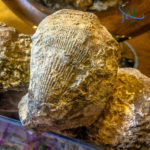 It’s clear on the palate with a streak of salinity that stays at bay because of the limestone. 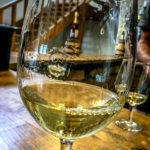 Expected in 2017 to last another year or two, and develop more kerosene aromas, not unlike Riesling. A 60/40 blend of Syrah and Touriga Nacional, with the TN giving a different expression in Bucelas than it would in Douro. Fermented on natural yeasts and aged in used French oak for less than a year. Aromas of bark and brambles, with clove spices and fresh blackberries on the palate. 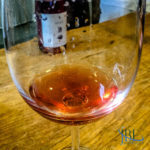 Composed of 100% Arinto, fermented in stainless steel tanks, and aged only in the bottle, this wine showed the fresh side of the vintage, with lots of flowers on the nose. The taste of green apple plays with plumeria on the palate, gaining a lime streak with a little time, showing off the relatively high acidity. 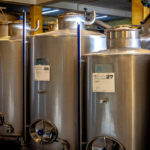 Also composed of 100% Arinto from the 2015 vintage, but fermented in stainless steel tanks, and then aged in French oak, some used, some new. This handling displayed itself in aromas of freshly cut wood, with vanillin. A lemony freshness carried through the high acidity, giving it the sense of real aging potential. Another 100% Arinto, fermented in stainless steel tanks, and aged only in the bottle. 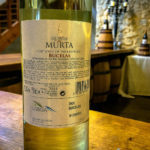 This wine was kept on the lees with some battonage. It shows a medium-to-high acidity, with a real streak of minerality. Pear aromas with a whiff of kerosene already on the nose; Anjou pear gaining spice on the palate as it opened up. A return to the 2012 to see how it got along after a year: This 100% Arinto now shows the scent of baby oil with some roasted Meyer lemon. Still a lot of lemon zest and juice on the palate at first, and quite a bit of life. About an hour after opening, it fell flat, showing that this should be consumed ASAP. The 2012 Arinto label again in 2018. Drink now!